Dust off your Oily Qs For All Out Naval Warfare during the 1970s. 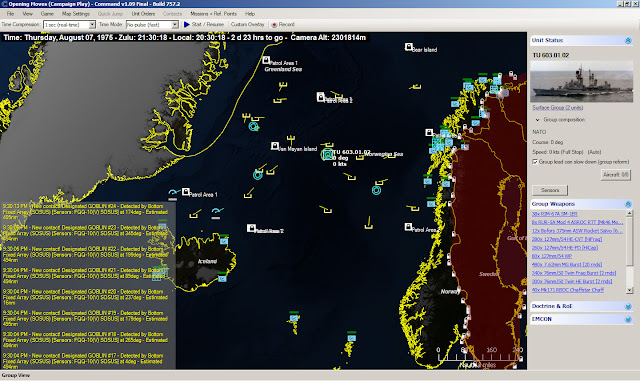 The best modern naval war game available for the general public gets a DLC (if you already have Command Modern Air and Naval Operations, CMANO) or a standalone, limited version of the game engine (if you don't own CMANO). Installation is automatic and Northern Inferno will detect if you have CMANO (in which case it will become an expansion) or if you don't it will go the route of a standalone game. This standalone game without CMANO has some limitations like the inability to load user made scenarios for CMANO or the inability to edit missions. Reviewing Command is like reviewing the internet. So vast is the virtual world (you are presented with a digital globe to spin with your mouse), so bountiful the naval, air and land assets that bring it alive that Command is not only just one of the greatests naval/air war games of all times but also a foundation for professional level tools that are currently under development. 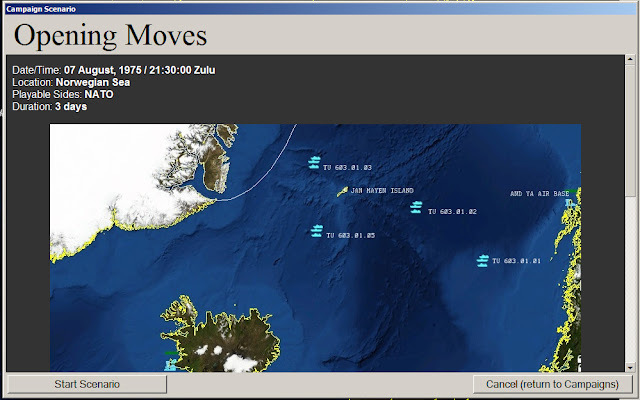 Command is a naval warfare simulation/game that is played in continuous time (non compressed real time, or at different compressed time ratios of up to 1,800 X). 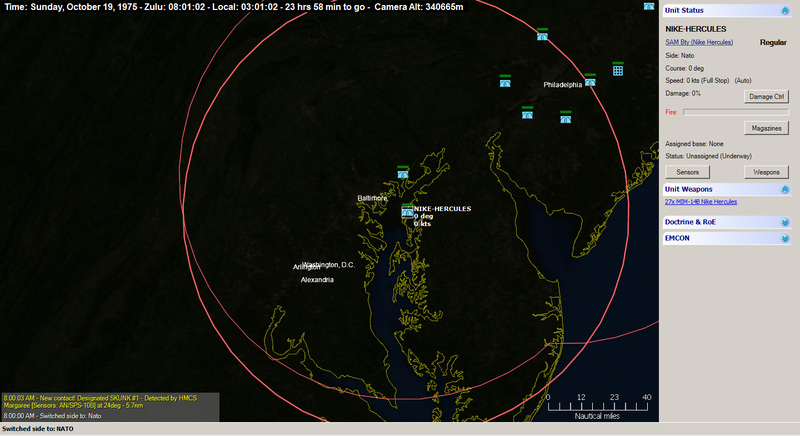 The player plots waypoints, set speeds/altitudes/depths of air, surface and submarine forces. 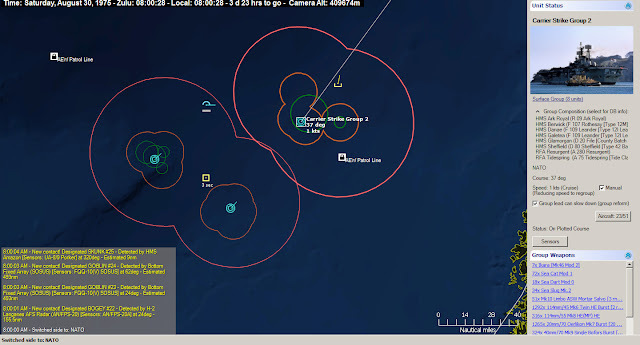 The electronic (radar and communications), weather (fog, rain, sea state) and physical (water depth, temperature, sounds transmitted through it, etc) shield or bring into contact units friend and foe. 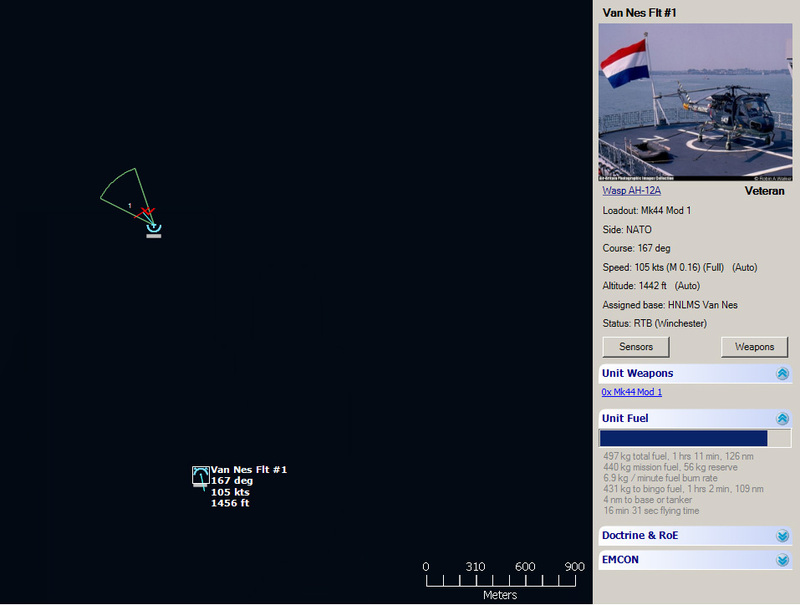 The weapons, sensors and event the decision cycles of the ship's crews are modelled in thorough detail. Although each player can play the missions through individual commands to single units (each NI scenario features a lot of units but never the entire NATO order of battle), it is advisable to get acquainted into "commanding" rather than firing missiles and torpedoes manually all the time. 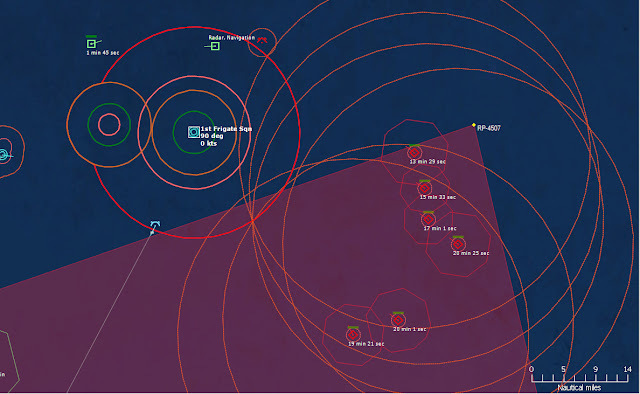 In Command, the player can group units into a single formation (including the assignment of a station for each vessel) and issue "missions" into specific areas or enemy forces. 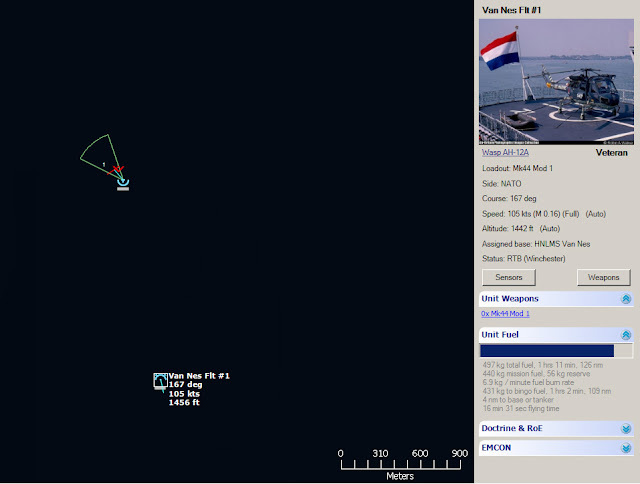 It is a pleasure to watch several groups to go onto a patrol at a specific area of the sea. They will even investigate contacts nearby if the player desires so. I said it before, Command is more about being an admiral than the collective will of many captains. 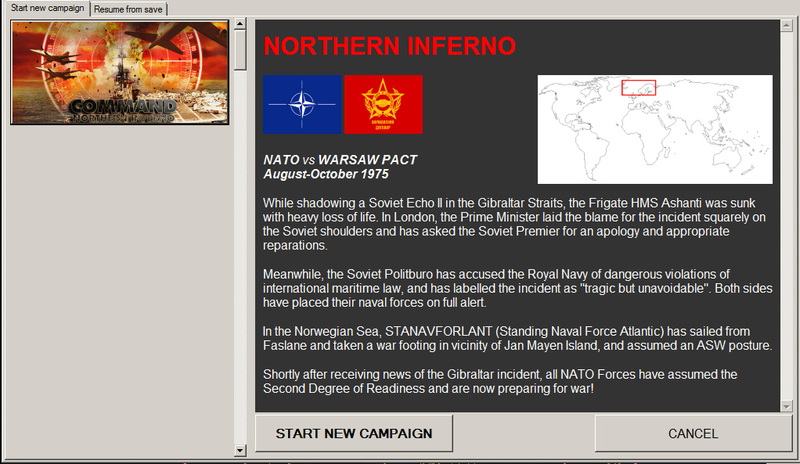 Northers Inferno brings the first 15 scenarios campaign into the Command world. The setting is during 1975 and the North Atlantic is on fire. The campaign is linear and the player needs to beat a score to move into the next scenario. A crescendo in difficulty is evident as the player progresses into the campaign. Fortunately, for the anxious among us, every scenario can be played as a stand alone. 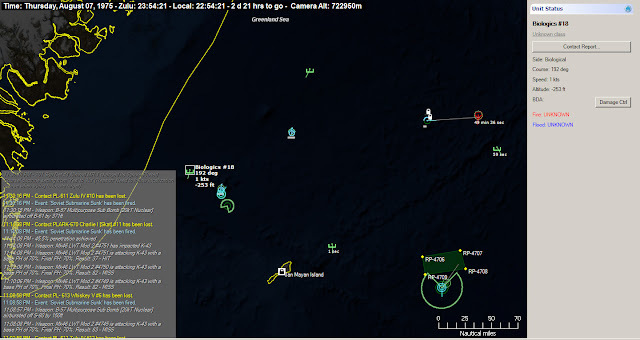 The quality of the scenarios is extremely high: the scope, level of detail, the deployments and orders of battle reveal a deep understanding of naval warfare. The content variety in NI is a treat. Anti-submarine and surface warfare, torpedo/missile boats, (counter-) amphibious operations, force protection and all the way to a downtown show that brings the action very close to the gates of ██████████ (text obliterated to avoid spoilers). There are a few bugs here and there. Some are trivial and just the result of the complexity of the engine or the mission scripting, others are more serious like the omission of scores in scenario 3. Try to keep up with hotfixes and patches, Warfare Sims will never let go something unfixed. Least noted among the media and discussion forums is the amount of changes and additions into the engine. 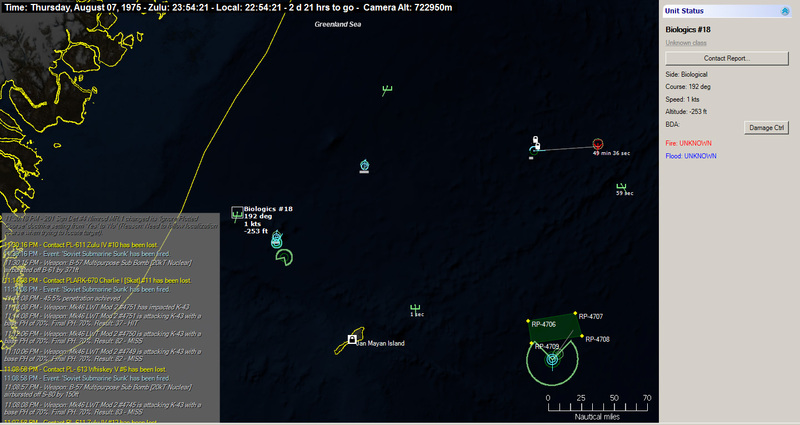 For those who own CMANO and install NI, the engine is automatically updated. 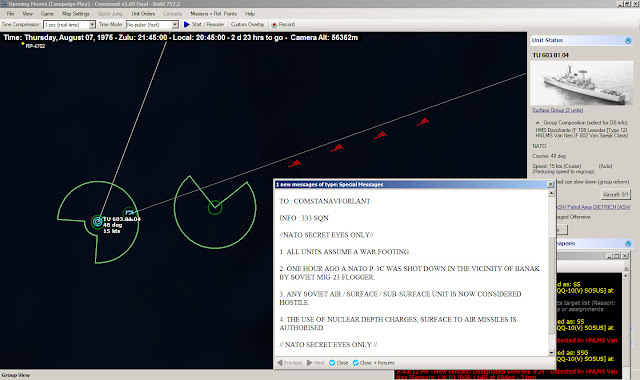 For those who don't buy NI and own CMANO, update 1.09 is available. The most evident addition is the possibility to create, edit and play campaigns. to add videos to the briefings, to add place names and display night lighting into the digital globe and many additional tweakings. The naval, air and amphibious maneuvers portrayed in Northern Inferno (NI) are the choreography of navies dancing into arguably the last ballet movement of human history. Are you going to miss it? One observation: In some of the images the text seems to "crawl" along the right edge of the image. Possibly an HTML/CSS issue? Agh! Blogger blues ... :) Thanks for pointing it out. Will fix after lunch. Unfortunately, still no MP functionality.